Molybdenum electrodes have good high temperature performance, corrosion resistance and good electrical and thermal conductivity, often as a heating material widely used in daily-use glass, optical glass, insulation materials, glass fiber and rare earths industrial and other production areas. 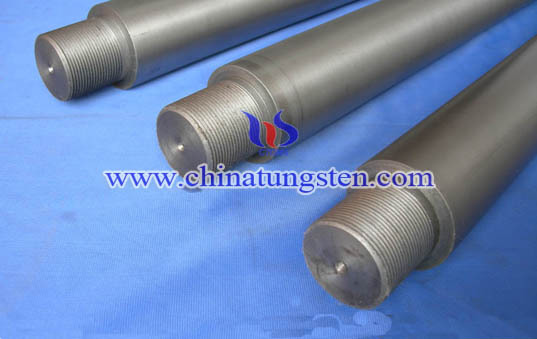 Molybdenum electrode mainly made by powder metallurgy method, and its main production processes are as follows: molybdenum powder - pressing - sintering - hammer - processing - test - packaging. During glass fiber production, molybdenum electrode quality has played an important role. High-density, low impurity content molybdenum electrodes are conducive to the production of high-quality glass fiber, because impurities will affect the color and transparency of glass. And molybdenum electrodes have high density can help extend the life of the furnace and the electrode, and less erosion by molten glass. Therefore, to obtain high-quality glass fiber high-density should use molybdenum electrodes with high density and low impurity content as electrode material. Glass fiber is kind of glass product, which is produced by wire drawing, wire blowing and other technical made molten glass into having longer fibers and not entwined filaments, namely glass fibers. On the other hand, the fiber wound into irregular groups is called glass wool. 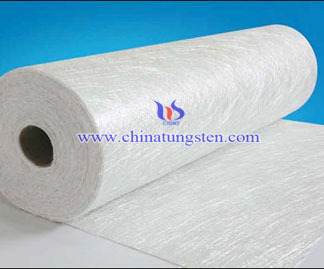 Fiber glass has insulation, heat resistance, corrosion resistance, high mechanical strength and other good properties, often as a composite reinforcing material widely used in construction, transportation, electronics, electrical, chemical, metallurgy, environmental protection, defense and other industries.